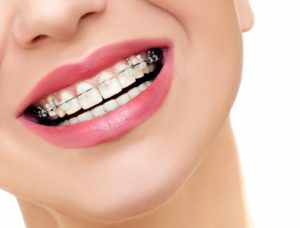 What is the Cost of Braces in Columbus, OH? There are many moving parts when it comes to orthodontic treatment. In this instance, we’re talking exclusively about traditional braces with metal or ceramic hardware. It’s true that the upfront cost can be high, but that doesn’t mean you should be put off by treatment from the start. Braces are an investment that can make such a big difference in your life that they essentially pay for themselves! Here’s what you can expect the cost of braces in Columbus, OH to look like. The first step to determining cost requires a thorough evaluation of your needs. The most important factor is figuring out how significant or complex your unique orthodontic case actually is. This includes the level of realignment needed to create a healthy bite. More complex cases will require additional visits for tightening the hardware, therefore resulting in higher costs. In comparison, simpler cases are easier to treat, therefore requiring less of the orthodontist’s expertise. Once the doctor determines your needs, he’ll go over your options in terms of hardware. For example, traditional braces utilize stainless steel because they are the most durable option. However, this makes them the most visible. On average, you can expect to pay between $3,000 and $5,000. If you want braces that are less visible, ceramic versions are designed to be clear and therefore blend in more effectively with your natural teeth. However, they are also more fragile. On average, ceramic braces cost between $2,500 and $4,500. Thankfully, dental insurance companies are starting to incorporate orthodontic work into their plans. These plans usually offer a lifetime orthodontic benefit that is separate from traditional dental insurance. If you have dental insurance and have confirmed that your coverage includes orthodontics, make sure to inform the dentist. If you don’t have insurance, that doesn’t mean you can’t still pursue treatment! Many practices offer a no interest monthly payment plan after you’ve made an initial down payment. These payments can extend longer than the treatment itself, meaning you’ll still have time to pay off the cost even after the braces come off. It’s just the dentist’s way of helping those achieve a healthier smile with less stress. Don’t settle for imperfect teeth when you can get the smile of your dreams through traditional braces. Schedule an appointment with an orthodontic expert today! After earning his dental degree from the Ohio State College of Dentistry, Dr. Amin Mason completed a one-year craniofacial research fellowship at the University of Kentucky. He then attended the University of Colorado to obtain his certificate in orthodontics and Master of Science in Dentistry. He offers metal and ceramic braces as well as many other orthodontic solutions. To learn more about his practice, you can contact him through his website. Comments Off on What is the Cost of Braces in Columbus, OH?